Scheduled for release in January 2018. 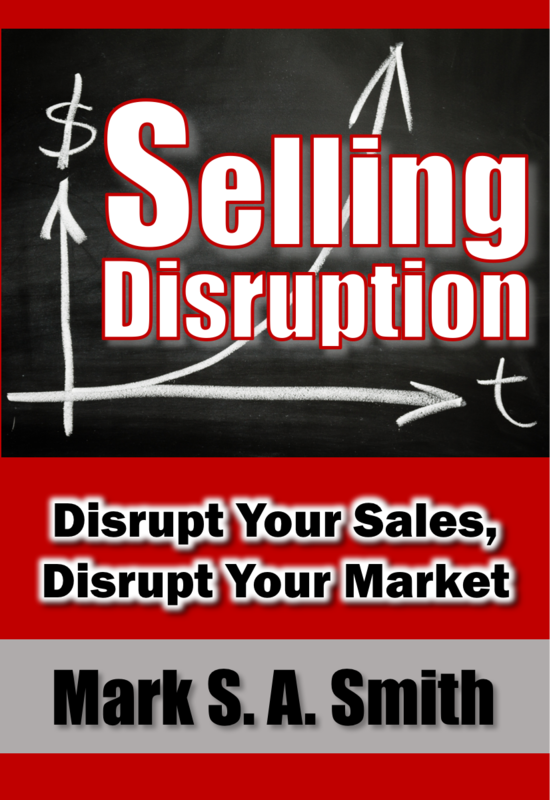 If you’re bringing a new, unique product or service to market, you’re selling disruption. If you have a competitor who’s coming after you, you’re selling disruption. If you have to pivot your business, you’re selling disruption. Anytime you need to make a major shift in your strategy, you’re selling disruption. When one has a new experience that so changes their expectations that they no longer tolerate the prior experience, that’s disruption. ANYTIME YOU FACE CHANGE IN YOUR MARKET, YOU’RE SELLING DISRUPTION. It ends up that all of these situations respond well to the same set of sales strategies that you’ll discover in this book. I wrote this book for executives responsible for disrupting or responding to disruption. Whether your organization is large or small, for profit, non-profit, or a government agency, you’re going to be disrupted. Sign up below to receive sample chapters and news on the release date. Very soon we’ll send a sample chapter to your email address and keep you updated on book release and other resources to help you disrupt. We promise to not share your information nor spam you.